In the previous book we had Scarlet Wayne and Samuel Wayne. In this book we have Scarlet Ryolite and Samuel Ryolite. Yes, I know this might be a little confusingm but let me explain. Scarlet Wayne married Coachella Ryolite in between the Epilogue of Book 1 and the Prologue of Book 2, thus changing her name to Scarlet Ryolite. Coachella and Scarlet decided to name their son after Scarlet's brother, Samuel Wayne. So Scarlet Ryolite is the same person as Scarlet Wayne. Samuel Ryolite is NOT the same person as Samuel Wayne. 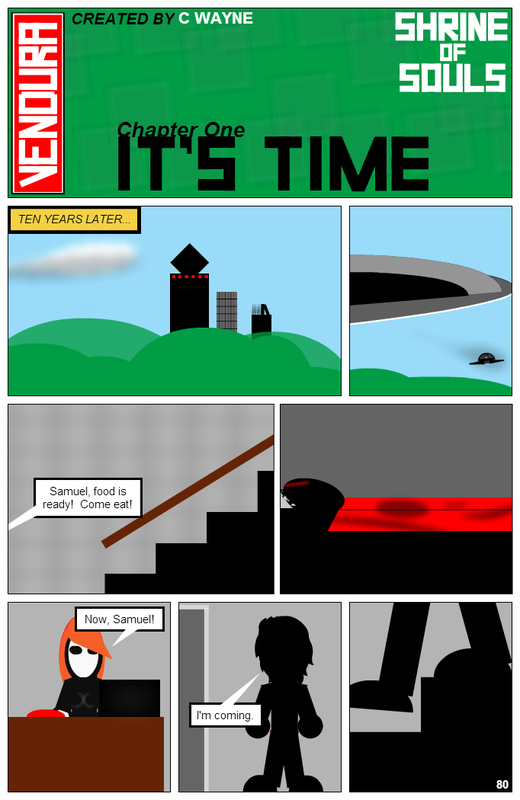 Samuel, food is ready! Come eat! Oh god.. I get it!!! HAHAHAHA!!! Me: "You said dinner was ready??"